DES MOINES, Iowa -- Florida nearly squandered a double-digit lead before finally stopping a Nevada comeback and pulling off a 70-61 upset in the first round of the NCAA Tournament. The Gators controlled the pace with their deliberate offence, often letting the shot clock run into single digits before shooting. The SEC's top-rated defence clogged passing and driving lanes and contested almost every shot. 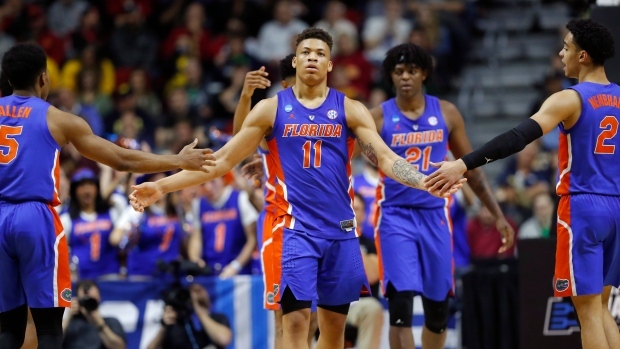 Florida: The Gators can count on Nembhard in the post-season. He had only eight points against Nevada, but he came up big when needed and stemmed the Wolf Pack's comeback with a dazzling drive to the basket against Jazz Johnson.